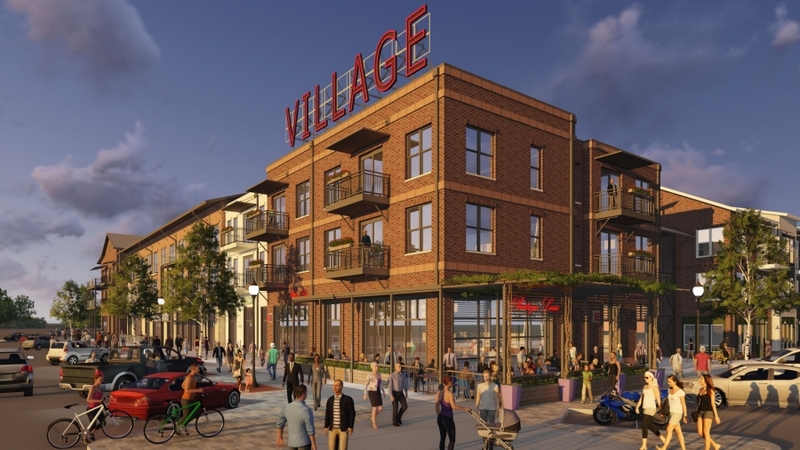 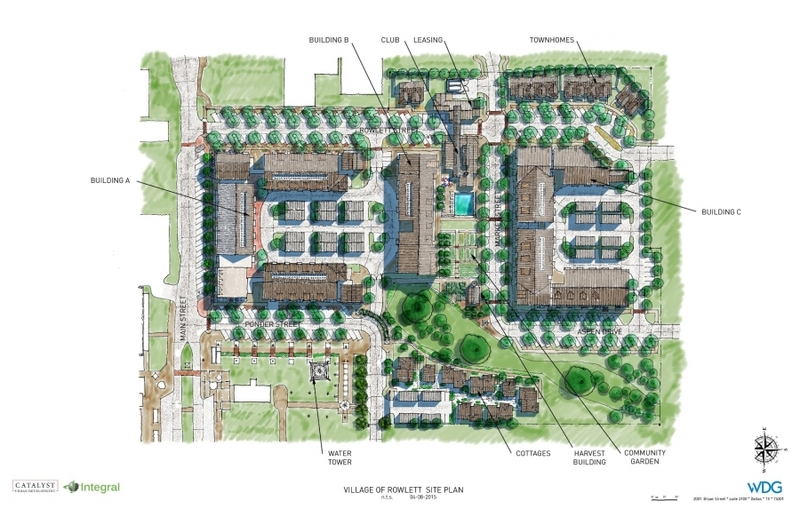 The Village of Rowlett is a Transit Oriented Development of 249-units on 10.76 acres that introduces a range of building types and uses within a unique village environment marked by modern housing concepts, local retail and commercial destinations, high quality streetscape, memorable open spaces and the City’s municipal library. 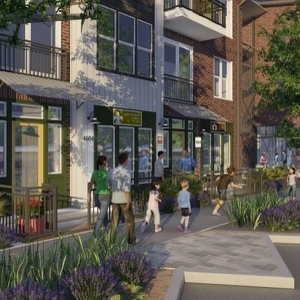 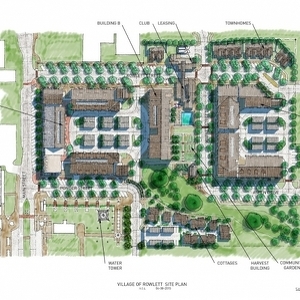 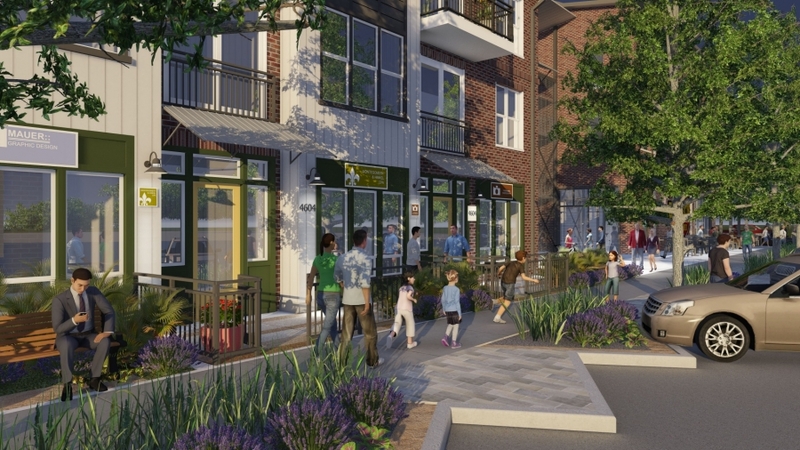 The project was planned to highlight existing trees and offer a range of green amenities including a community garden, yoga patio, pocket green courts, swimming pool, outdoor fire pits, and urban streetscapes all in an effort to deliver an urban resort-like experience unique to Rowlett. 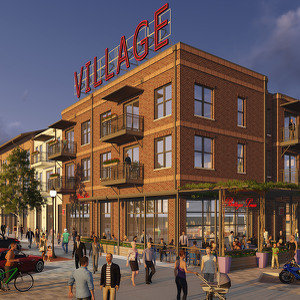 Conveniently located in downtown Rowlett, the Village of Rowlett has immediate access to a DART Rail Station and President George Bush Turnpike.